It actually worked even better than I expected. What slowed me down in getting it posted though, was finding a frame that enhanced but did not overpower the ornament. 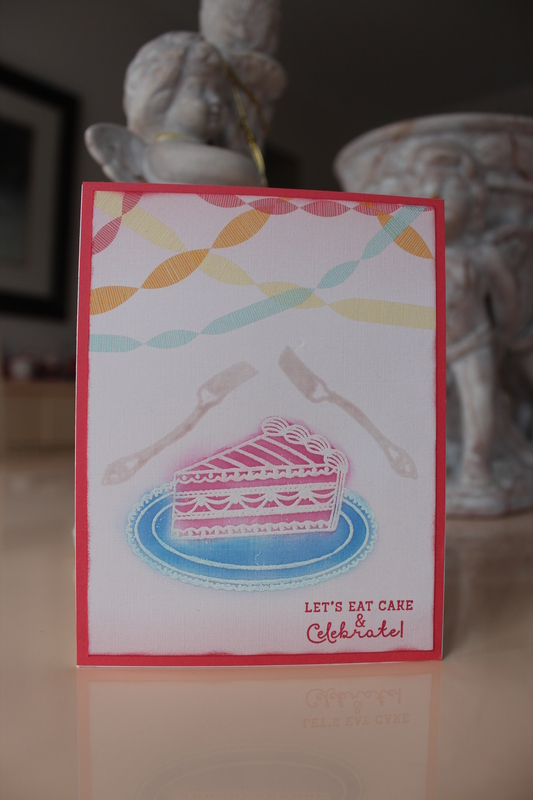 I tried the Papertrey Ink Marquee frame first, but it was a bit too ornate to showcase the ornament well. This weeks theme is to add glitter to a card in an inlay technique. 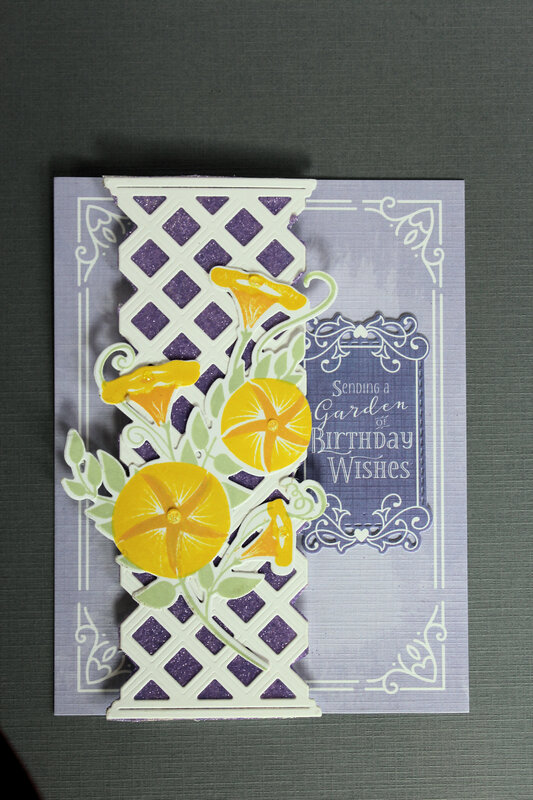 This theme was perfect for me as I seem to have given away all the elegant cards from my stash and need to replenish. I have hundreds of cards in my stash, but was hard pressed to come up with a suitable elegant birthday card for my Mom’s birthday. I actually had to adapt an extra Mother’s day card that I had previously made. Luckily, it turned out well. 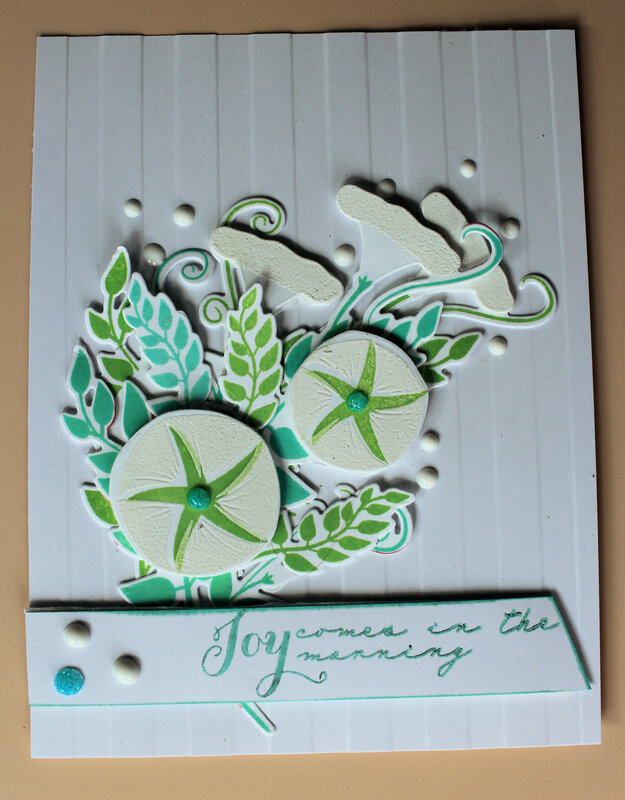 Today’s card turned out well and will be the start of my new elegant cards stash. 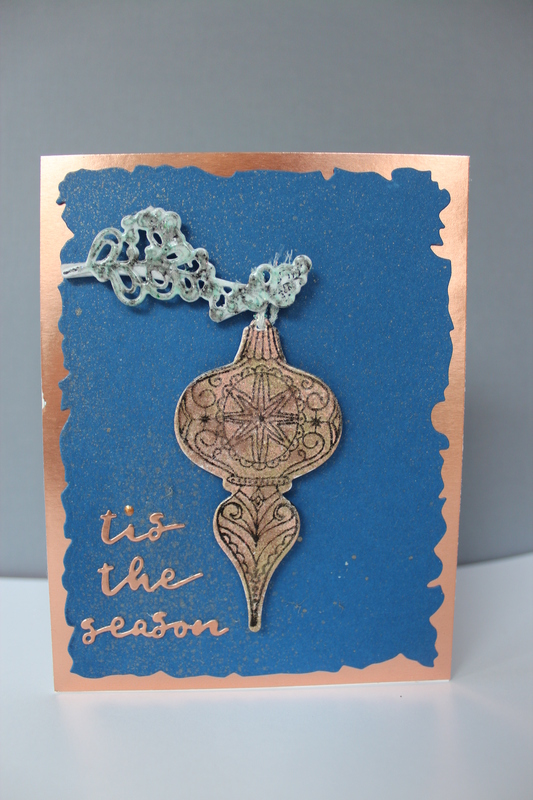 The challenge this week is to lay an open pattern over a stamped image. The real challenge for me was to find a suitable pattern from Papertrey Ink. In fact, I could not. The closest I could come is a grid pattern from a borders set. I knew that trying to stamp a 1/2 inch wide border stamp repeatedly over a layered image is a recipe for disaster. As it was, I threw three potential cards in the garbage due to my paper shifting slightly in my Misti. 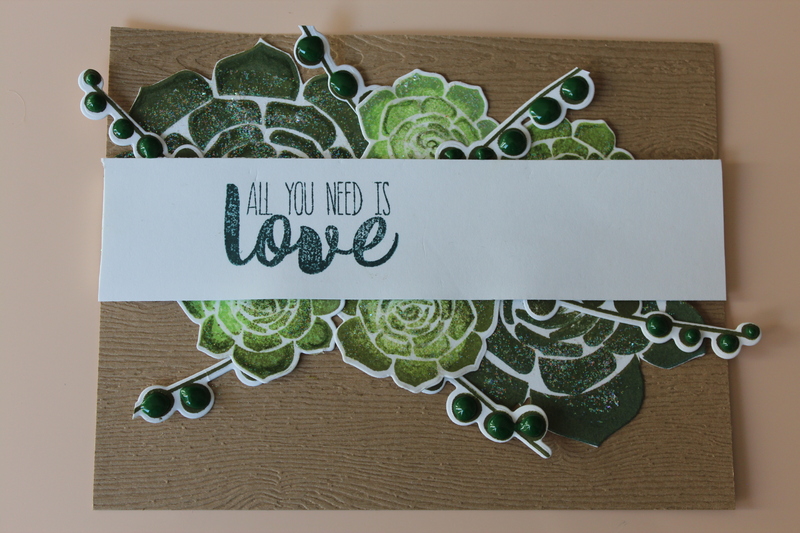 In the end, I liked the result using the Succulents Stamp set from Papertrey Ink and a “shattered” background stamp from my stash. Nuvo drops in three colours finished off the project. 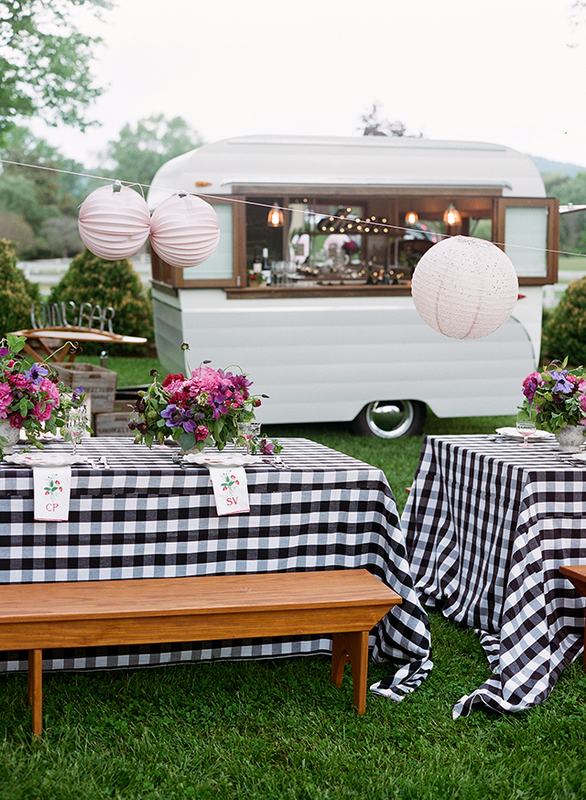 The challenge in today’s Make it Monday is to make a repeating pattern from Petite images. This is something that I thought would be super easy but it was not. For some reason, I am measurement challenged. This is how I measure things. This tag is 4 notches and a tad long…………really. So trying to find the middle of 4 notches and a tad really is not easy and then when you are stamping 20 of the small images all around this centre, then things get really iffy. In the end, I came up with these three tags. 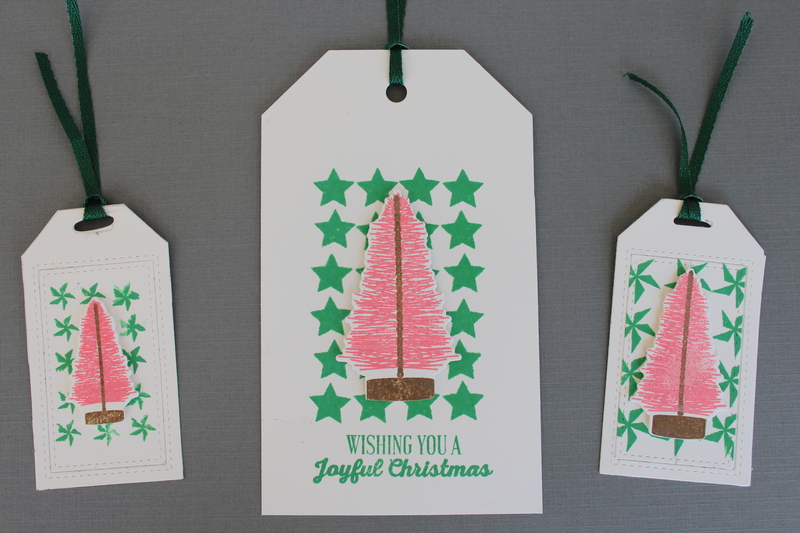 I always like the result when I stamp those bottle brush trees. It is the background images that look like they are wandering aimlessly out in the desert, but at least I have a very early start on Christmas gift tags. This is my third blog post today. I haven’t been posting very much lately. Seem to be busy doing nothing, but today I had a three hour eye surgery appointment and still managed to make cards for three events. 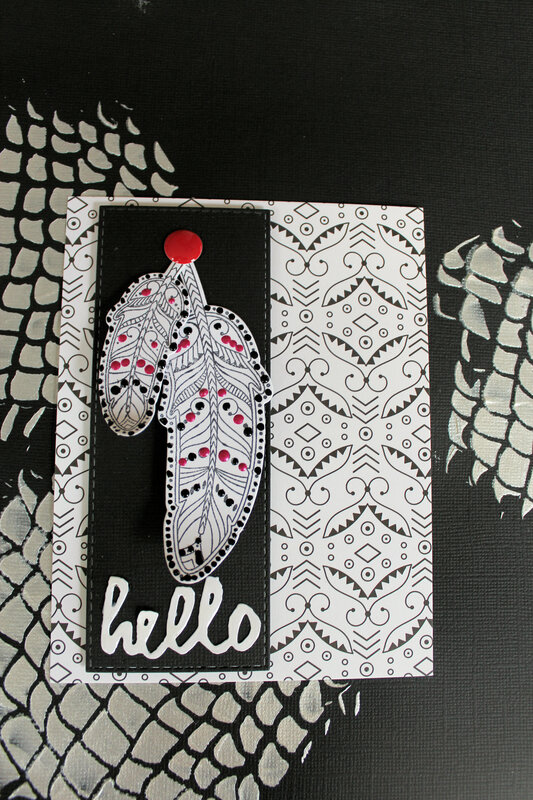 This one is for the Papertrey Ink Bloghop which happens on the 25th of each month. 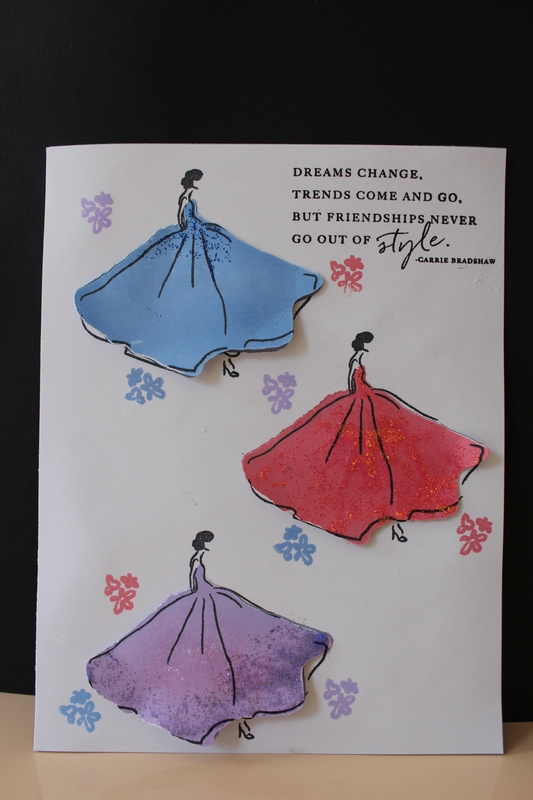 There is a image provided for inspiration and the challenge is to turn that inspiration into a project and post it on the Papertrey blog. Well there is no doubt that I used the image for inspiration, but the resulting card is barely ok. 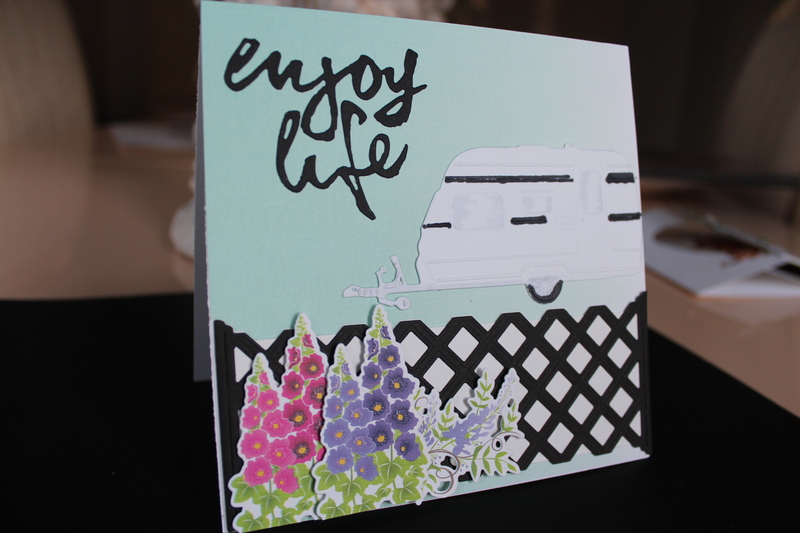 I didn’t want to make the trailer the focal point as it is the ONLY thing on the card that is not from Papertrey Ink (Joy Crafts) but if I cut it down, it started to look like just a white blob. In the end, the card is too full with not enough “white” space. I do like the flowers along the fence though. Today the theme at the Make it Monday challenge is to make something with an over and under element. That means to place something above a sentiment strip and something below a sentiment strip. 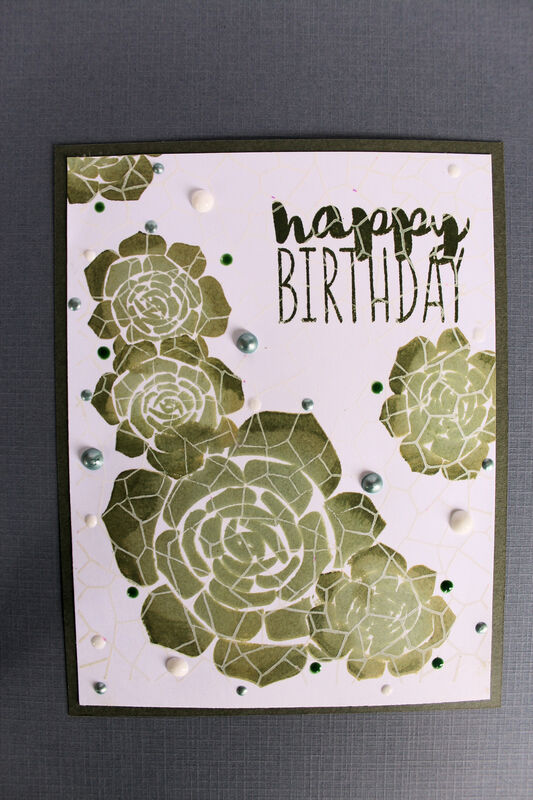 I decided to use the Super Succulents stamp and die set as I have been drawn to cactus/desert cards lately. At the last minute I decided to give the String of Pearls succulents I used on the sentiment strip a dimensional look by using Nuvo drops on them. It will be a miracle if I can be patient enough to wait for the Nuvo drops to dry, before trying to photograph and post the card.